Mobile power generation must solve a basic problem: The input energy from the original drive or engine varies with the speed of the vehicle or the engine rpm, but the electrical frequency remains constant. The magic word for solving this core problem is VSCF—Variable Speed Constant Frequency. The electronic GTS Inverter Technology ensures a constant output frequency. 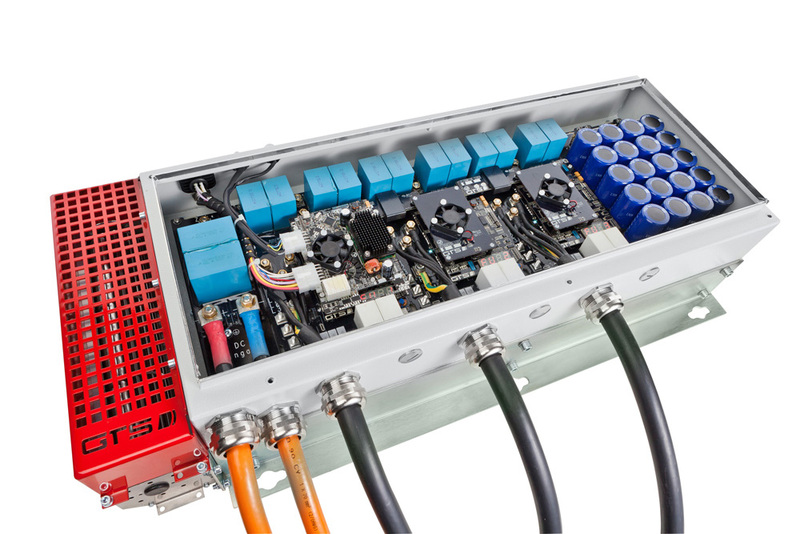 Our MPP series (Modular Power Pack) variable frequency inverters are the high-tech solution specifically for mobile applications. The power range can be selected individually for controlling power generation while driving, parked, or applications that require both. 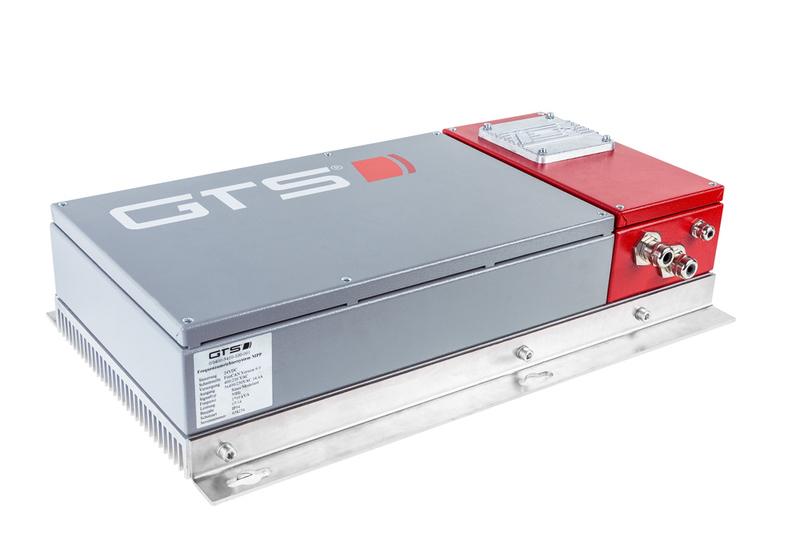 Its compact and modular design allows the GTS‑MPP to be integrated into your specific overall system. 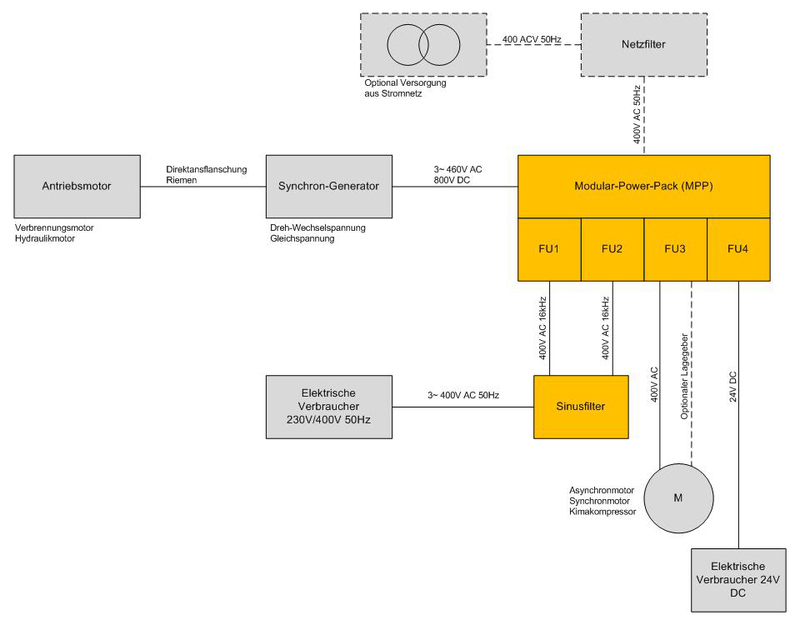 Even very complex complete systems can be controlled and regulated through flexible arrangement of the individual modules, for a simple and compact solution. Connection to your overall system enables not only continuous monitoring of the individual modules and consumers, but also rapid diagnostics in case of failure. Redundant architecture makes it possible to continues to operate the system in emergency mode even in case of a single defect. The MPP series variable frequency inverters “chop up” the variable DC voltage produced by the generator into three-phase AC voltage at a constant frequency and voltage. A downstream sine-wave filter then produces sinusoidal AC voltage from the “chopped-up” DC voltage again. Depending on the application, our GTS variable frequency inverters consist of up to 5 different modules (master module, fan, rectifier, variable frequency inverter, and sine-wave filter).